Oil and Gas Title Examination of Fee and Indian Lands - including voluntary units - lease line wells with overlapping spacing - and river issues. Craig B. Burns is in the Energy, Environment and Natural Resources Department. His practice is focused on oil and gas title examination. 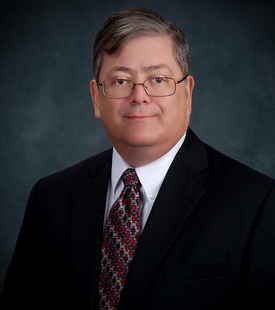 He also has prior experience as legal counsel for the North Dakota Insurance Department and as a sole practitioner. North Dakota Insurance Department and sole practitioner. Contributing Author to § 2.04 Indian Leases, Chapter 2 – Oil and Gas Leases, The Landman’s Legal Handbook, a Practical Guide to Mineral Leases, Fifth Edition, Rocky Mountain Mineral Law Foundation. Updated paper by Michael E. Webster (Deceased) Crowley Fleck, PLLP, entitled “Examination of Title to Indian Lands” with Colby Branch of Crowley Fleck, PLLP, for the Rocky Mountain Mineral Law Foundation’s Mineral Law Series, Volume 2012, Number 1, “Nuts and Bolts of Mineral Title Examination”.